While Nigeria vendors, exhibitors’, government officials and spectators aimlessly walk about the OTC pavilion and frequenting the galleria shopping center, Angola, a new comer at the OTC strikes accord with serious minded investors. This country, which is situated on the southwestern coast of Africa, has 18 provinces and is the 7th largest territory in Africa. Angola is the 2nd largest oil and gas producing country in Africa. Angola is indeed only second to Nigeria and as of 2015 was the 2nd largest investment destination in Africa only second to South Africa. Primarily a Portuguese/Spanish speaking nation its economy is considered one of the fastest growing in the World with a GDP of 11.1% from 2001-2010. Angola has done well and maintained political stability considering the 27 years of war, which ended in 2002. I was at the Angola stand on the last day of OTC and was both amazed and impressed at the level of collaboration, cooperation, seriousness at which their indigenous operators as well as government officials expressed their industry expertise. All companies were beautifully centered in one area and the national outfit adorned each representative as they eagerly explained what they deal to each visitor. The national investment company, Aipex had experts encouraging potential investors. They were friendly, professional, and highly experienced as they guided all of us on the and how to do business in Angola. So was the BAI, which is the investment bank that simplifies the process for foreign investors. I traveled to each of the stand asking questions about their experience at OTC being first timers, what it takes to do business in Angola, their production and challenges as well as their version of the local content. Below are the experts of my conversation with these indigenous operators, airline, Aipex and the bank of investment. At the Aipex stand, I spoke to Jandira Camia who explained the mission of Aipex. Although she spoke more Portuguese than English, we were able to communicate enough for me to note that Aipex is the agency that promotes investments and exports of Angola. Me: What is the new legislation on investment all about? Landira: Our new private investment act was approved on August 11, 2015. It is for rapid and smooth investment in Angola. Landira: It covers both domestic and foreign private investment but not private estate companies or other public entities holding a stake of 50% or more. Also it does not cover private investment related to oil business, minerals and financial institutions. Off I went to meet with the National institute of petroleum, which is similar to the NNPC of Nigeria. Here I spoke briefly with the Vice President for projects and Development Mr. Jorgina Manhengane. Me: What type of incentives does Angola provide to investors? Jorgina: Tax benefits are not automatic and depend on the amount, location, duration, and partnerships with Angolans, job creations and its economic impact. Me: So this is the core of your local content then? Jorgina : Yes. We have huge incentives available for investment equal to 50 million USD so long as it results in the creation of 500+ jobs depending on the location. Also, we offer incentives to companies reinvesting their capital gains into new projects, expansions or modernization of existing projects. Me: Is their any restriction on foreigners coming to Angola to invest? Jorgina: the investor must offer 35% share capital to a local partner and also have an effective participation in management of the new venture in the following project areas: energy, water, transport, logistics, telecommunications, IT, construction and public work, tourism, and hospitality and broadcasting. Me; that sums up every sphere of development. So this way, a local and indigenous businessman has much leverage to experience and impact change into the development of the society. Finally, documents certifying the financial capacity of the company. Criminal record and certified by the Angola consulate in the investor’s country. Angola is being called the Land of the future, why is that? I asked Evelise Alexandra Gaspar Neto Azevedo the head of the department of marketing of Sonair. He replied that Angola is the 5th largest producer of Diamonds and has enjoyed steady economic growth rate and also signed bilateral agreements of promotion and protection of investments with Germany, Spain, Great Britain, Italy, Portugal, Russia, Switzerland, South Africa and guinea Bissau. Further he asked me, “ Did you know that there is a direct flight from Houston to our capital city of Luanda”? I did not know that. Mr. Evelise informed me that there is a direct connection on SonAir from Houston-Luanda – Houston and offering approximately 80 seats to the public. These flights are offered twice a week. I was so impressed by the organization of the exhibitors. All were knowledgeable and their goal of entering the OTC was foremost on their minds, which I believe they achieved through information sharing. Sonamet and PAENAL were some of the oil and Gas servicing industries featured at this year’s OTC at the Arena. 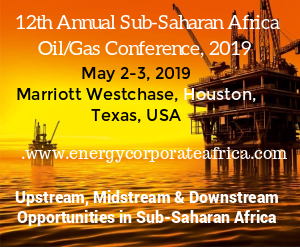 PAENAL is a major player in the field of fabrications entering into a JV roughly 10 years ago with the state owned Sonangol and the SBM offshore group and by 2010 DSME of South Korea had become a joint venture partner. By 2013, PAENAL was a full phased fabrication Shipyard providing 10,000 = ton of modules per year representing close to 2 million man hours of work per year. The yard which is located about 2.5-3 km south of the Porto Ambiom is less than an hour drive from Sumbe the capital city of Kwanza Sul Province. Nordine Bousselat, the business development leader and manager (Finance and administration) proudly informed me that they were the biggest fabrication and integration yard in the entire region. PAENAL was founded to meet Angola’s need to develop manufacturing technology and integration of FPSOs and with its 2500-ton heavy lift crane (HLC) (The prototype was on display) and a 490m purpose-built quayside, one can appreciate Nordine’s pride as he speaks confidently about PAENAL’s yard. 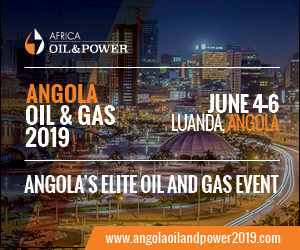 Angola is indeed an emerging player in the pre-salt oil and gas exploration and has pledged to increase production from 1.75-2MMb/d back in 2014-15 consistently leading to 2020. Today, with PAENAL, Angola can boast of meeting and exceeding the mark by 2020. One impressive success benchmark is Angola’s urgency on training its workforce. They boast of qualified and trained workforce through long-term investment by the government partners SBM offshore and Sonangol. Since 2008, Angola set up and has maintained a training school that has graduated more than 500 skilled welders and fabricators men and women who were previously petty farmers and fishermen. PAENAL to its credit is a fabrication yard today with at least 87% Angolan nationals in employment. Likewise, Sonamet provides “high quality fabrication, survey, storage and handling services both for shallow and deep water projects offshore Angola”. It is situated in Lobito and employs well over 2000 locals and trains 200 of those annually in skilled welding. Following my visit to the Angola stand at the OTC Arena, my final impression is that of a country that understands the need for continuous improvement, local expertise, acquisition of technical know-how, importance of a well-structured local content, importance of government support and participation in the development process, and the need to encourage indigenous businesses to become sustainable. Now that is Local content or better yet Angola Content at work.